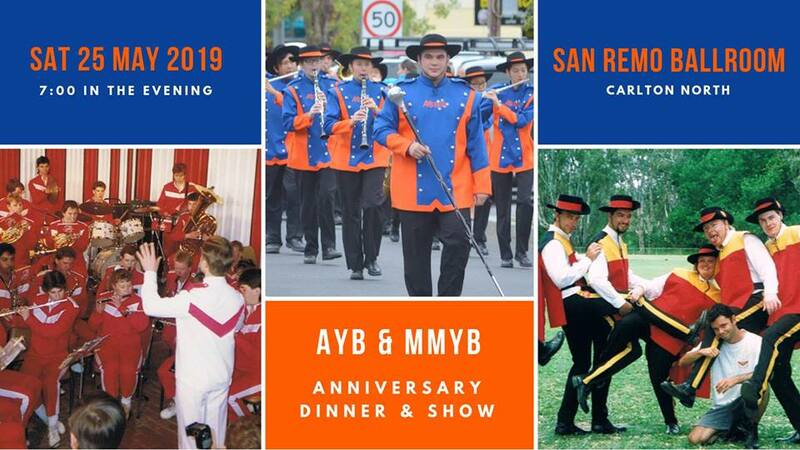 Members and friends of the AYB community are invited to help celebrate the 40th anniversary of the Moomba Band and the Australian Youth Band at a three-course dinner and show. You’ll also get the opportunity to hear the current band play throughout the evening. Get the band back together and celebrate your time with AYB! Reunite with your fellow band members from years gone by. Re-live the experiences through memorabilia, videos, photos and presentations by past members and presidents. Hear the calibre of the current band as they perform throughout the night. Enjoy a three-course dinner with beer/wine and soft drink. Celebrate 40 years of this amazing organisation. Please Note: Tickets are available as single tickets or tables of 10. Single tickets will be allocated with a seating chart available on the night. For enquiries please message us.